Train 18 will make its first journey between New Delhi and Varanasi, via Kanpur and Prayagraj. Train 18's air conditioned chair car ticket would cost Rs. 1,850 and the executive class fare will be Rs. 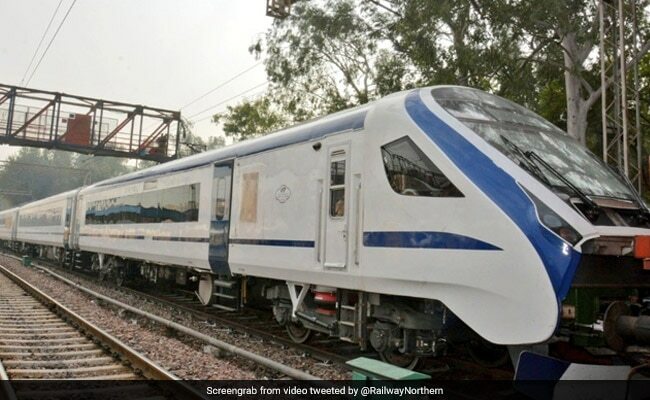 3,520 for a Delhi to Varanasi trip, including the catering service charges, reported news agency Press Trust of India (PTI) citing officials on Monday. On its return journey, the chair car ticket will cost Rs. 1,795 and the executive car ticket will be priced at Rs. 3,470, further said the report. While the chair car fares are 1.5 times the price of Shatabdi trains running the same distance, the executive class fares are 1.4 times of first class air conditioned seating in the premium train, the official sources said. 1. The semi-high speed train is scheduled to be flagged off by Prime Minister Narendra Modi on February 15. The train has two classes of tickets -- executive class and chair car -- and will have differently priced meals. 4. However, meals on Vande Bharat Express or Train 18 will not be optional for passengers, unlike in premium trains such as Shatabdi, Rajdhani and Duronto express, where they can choose not to avail catering services, officials said. However, passengers travelling the last leg on the route of the train - Prayagraj to Varanasi - will have the choice of opting out of the meals in advance while booking their tickets.